Professional basketball players need to have the ability to learn how to invest a part of their big income because playing basketball doesn't last forever. Investments like opening a business is a must. 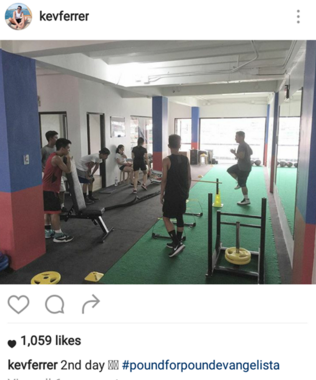 Kevin Ferrer is well aware of that. 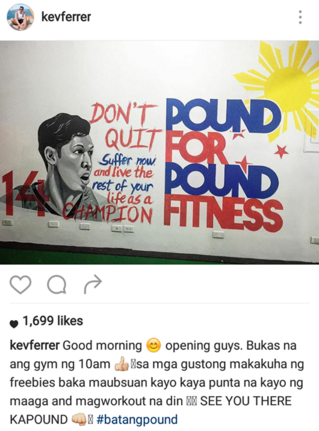 That's why few days ago, he opened Pound for Pound Gym located in 4935 Arnaiz Avenue Corner Evangelista St. Pio Del Pilar Makati City. 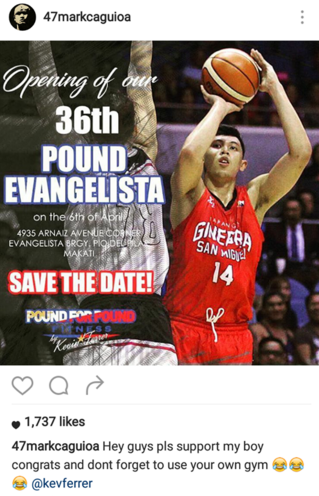 His teammate Mark Caguioa was quick to show his support. So should you guys!